I was in for a surprise when Mrs Lata told me she is using soybean paste as a stuffing for the whole wheat bhatooras she was going to fry for breakfast. This was at a popular home stay in Himachal Pradesh, run by family members of Raju Bharti where they use only local ingredients to cook for the guests, not to confirm to the fancy idea of local food movement but because remote areas in mountains get very little supply of foods from outside anyway. As I am always curious about the food, I found myself sitting next to the lady of the house while she cooked. 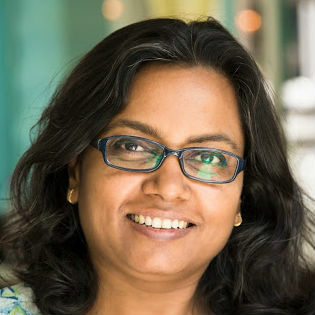 She was generous enough to introduce me to the raw ingredients too whenever I enquired. And that is how I saw a variety of green soybeans in this kitchen in the lesser Himalayas (village Goshaini, Post Banjar, Himachal Pradesh). Soaked overnight, made into a paste in the morning along with some ginger, cumin, coriander greens and chillies etc, the green soybean paste was stuffed into sourdough fermented whole wheat dough, flattened and deep fried for the pleasure of hungry guests who came back after early morning mountain treks. 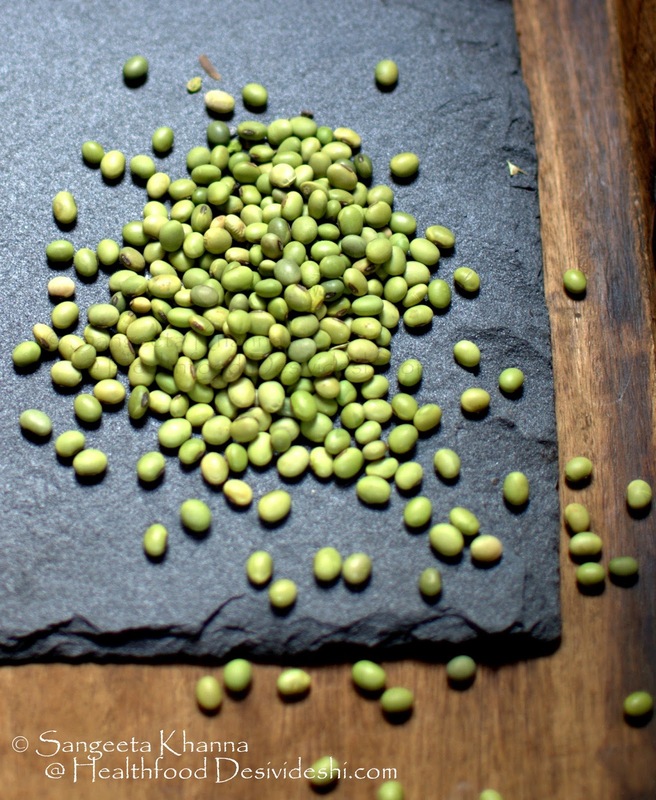 Later when I tried to find out more, I discovered that this green soybean is the first ever culinary purpose variety of soybeans and has been grown in the lesser Himalayas for ages. Soybeans originated in the north east China (Manchuria) and might have spread to the Indian part of lesser Himalayas through silk route. The presence of green soybeans indicates this spread of soybeans might have happened quite early in the journey of soybeans. The green soybean variety is ‘Hara Soy 1563’ and is immune to many plant pathogens like bacterial pustules and brown spot, bacterial blight, frog eye leaf spot and pod blight. This variety is also highly tolerant to pest complex and is resistant to pod shattering while ripening and drying in situ. No wonder this is the first domesticated variety of soybeans and is still being cultivated. Apparently, soybeans were not popular food ingredients initially but gained popularity in China slowly as people started recognizing its nutritive value and started using different techniques to make soybeans palatable and easily digestible too. Fermenting the soybeans was one method that the Chinese, Japanese, Koreans and other South-East Asian countries used and made products like Natto and Miso (japan), Tempeh (Indonesia), Doenjang (Korea), Douchi and Minachi (China) and Tuong (Vietnam). The fermentation process was a result of extensive culinary experimentation in order to use soybeans as a source of good protein and since it is seen mostly in countries where Buddhist monasteries are found, the same link might have brought fermented soybeans to the north east states of India too. The fermentation of soybeans is a traditional method in Manipur, Nagaland and other north eastern states of India too. In Manipur, the local soybeans which are pale and smaller in comparison to the hybrid varieties are used to make a fermented condiment called Hawaijar. The soybeans are soaked overnight, the soaking water is drained and then the soaked soybeans are boiled in fresh water till soft but not mushy. The soybeans are then strained and wrapped immediately in muslin cloth, trapping the heat to let the fermentation start on its own. Traditionally the hot cooked soybeans were wrapped in leaves, placed in bamboo baskets and then kept wrapped with paddy straw in a warm place, preferably granaries, so the fermentation was facilitated by lactic acid bacteria found on the surface of paddy husk. To ferment this Hawaijar in a modern kitchen, the muslin wrapped bundle is sunned for 3-4 days, brought back every night and sunned again in the morning. The fermentation process makes sure that the packet of soybeans stays warm even during the night. After about 4 days the fermented soybeans called Hawaijar is ready to be used, characterised by a stringy slimy look that is similar to Japanese natto. It can be refrigerated for longer shelf life or it gets more intense in taste and texture when stored at room temperature. Hawaijar in Manipur is served as a condiment mixed with bhut jolokia chillies and salt. This is also added to some vegetable stews made with Colocasia leaves or tubers along with smoked dried fish. Interestingly, Japanese also use Natto with bonito flakes (dried tuna fish flakes), a way to get nourishment from cheap sources of food, easily available to everyone. Interestingly we don’t see the people of Himachal and Uttarakhand processing soybeans too much, absence of Buddhist monasteries in the area may be the reason. They just soak and grind to make a coarse paste and use the paste as stuffing of breads or make wadis with it for curries. Other way to cook soybeans is to soak and slow cook them for long hours to make them palatable and soft and curry them with local spices. The black soybeans of Uttarakhand and Himachal are called Bhatt and a slow cooked curry is called bhatt ki chudkani. The raw dry beans are dry roasted in an iron kadhai till they crackle and then the beans are slow cooked along with spices and tempering to make a rustic yet delicious curry called Bhatt ki chudkani. 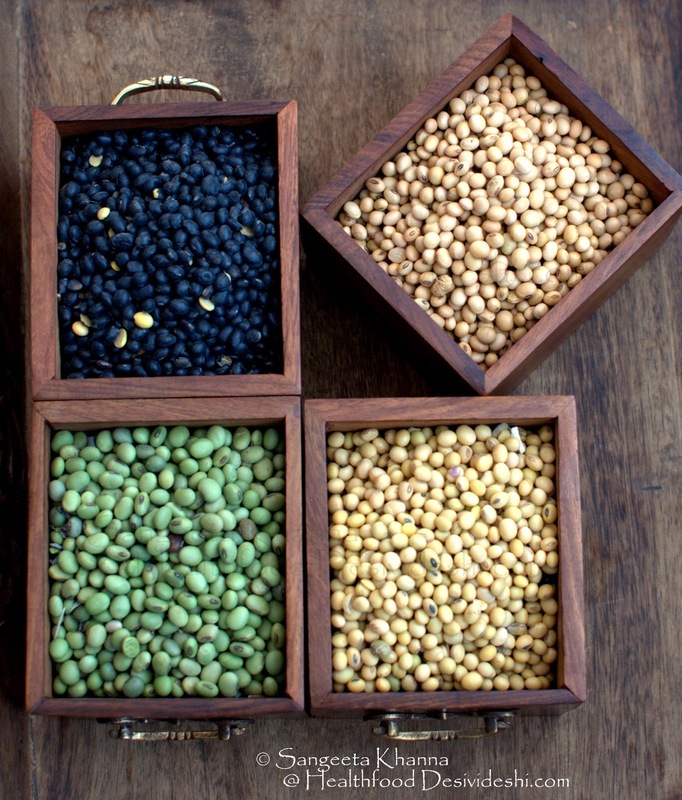 Since soybeans are known for high phytic acid content that causes bloating and retarded absorption of nutrients, this method of soaking and dry roasting must have evolved to denature the phytic acid found in soybeans. Another dish made with a paste of soaked black soybeans is called bhatt ka dubka. 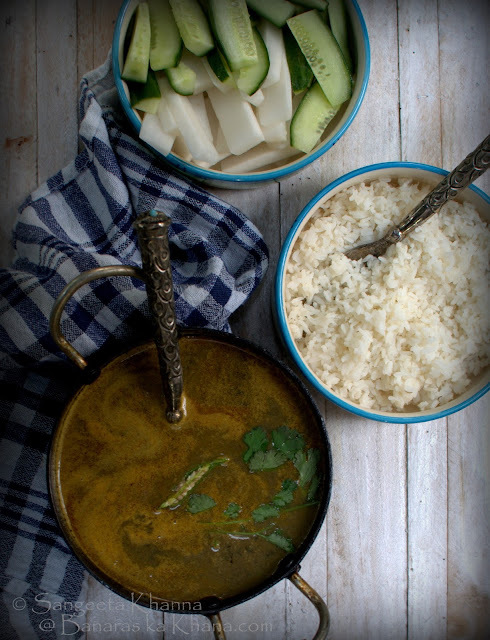 These are rustic curries that nourish the mountain people, who may not get other good sources of protein in their diet throughout the year. The dry roasted black soybeans are also consumed as it is like nuts and make a popular winter snack. Soybeans have become popular in urban locales too, but the form of soybeans consumed by city folks is much different from the traditional methods. Almost everyone who is consuming multi grain flour to make everyday chapatis, gets soybean flour mixed to the multigrain flour. 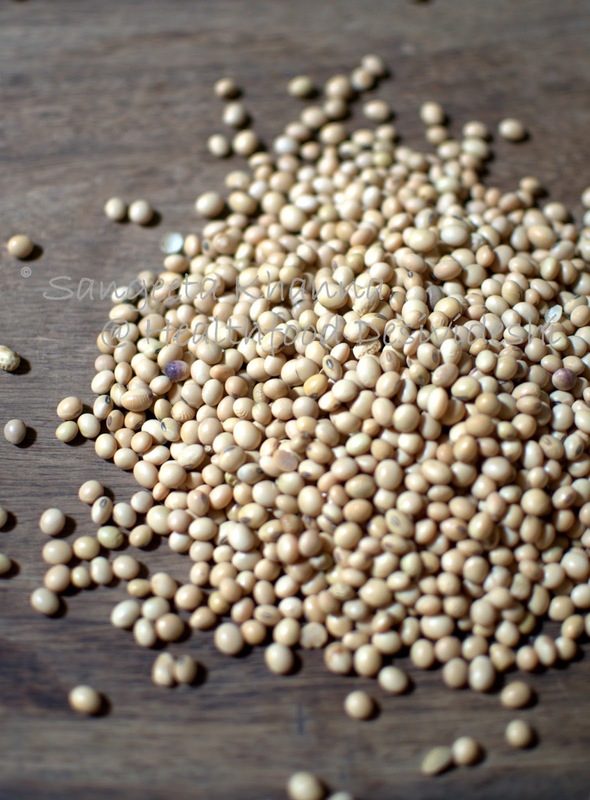 The high protein content o the soybeans lures all of us to include it in our everyday diet but we need to be careful about the source and variety of soybeans as well as the way we cook it in our kitchens. To get rid of the high phytic acid content of soybeans it needs to be soaked for 12-14 hours so the water soluble phytates are drained away. Then the soybeans can be dried and milled to make flour. The fermentation method takes care of the phytates and enriches the soybeans with more minerals and vitamins while the bacteria work on it. Unfortunately, most of the new age soybean varieties were bred for high oil content so soybean oil could be manufactured as cheap cooking oil. These hybrid varieties of soybeans are found to be more difficult to digest so using them as flours may not be a good idea for everyday consumption. 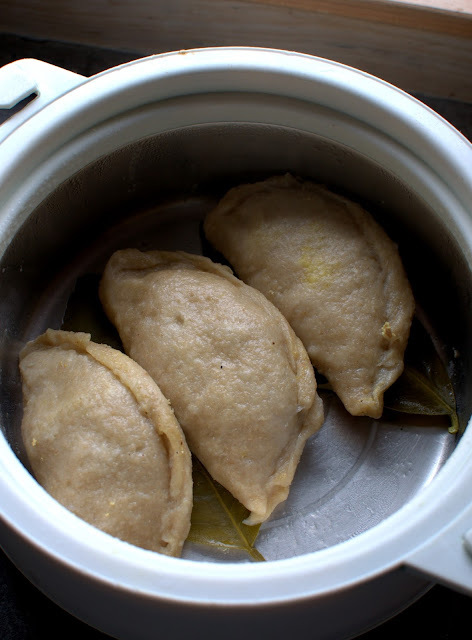 The whole wheat bhatooras made with leavened dough and green soybean paste is very delicious and is easy on digestion too, even though the paste is not fermented. Soaked green soybeans are made into a coarse paste along with ginger, garlic and coriander leaves, some chillies etc too and a stuffing is done inside thick breads before deep frying. I got to know that this deep fried green soybean stuffed bhatoora is a common breakfast dish or bread for festive meals during religious community meals wedding parties in Himachal (around Kullu). The recipe of this stuffed bhatoora can be found here at Down to Earth. The same green soybean paste is also stuffed inside these steamed breads called Sidu too (in Himachal Pradesh). 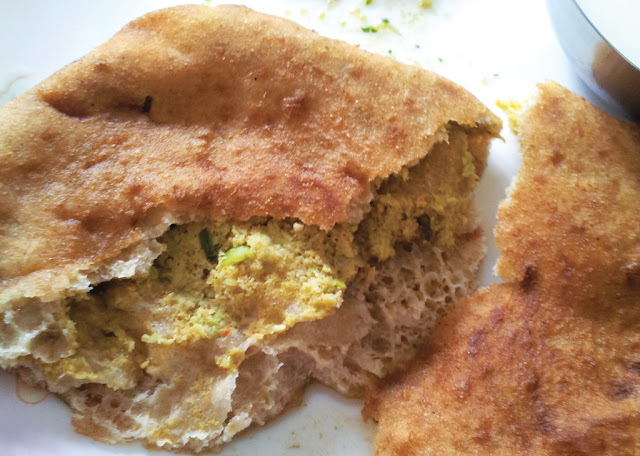 Normally Sidu has a stuffing of poppy seed paste is a wonderfully flavoured bread. 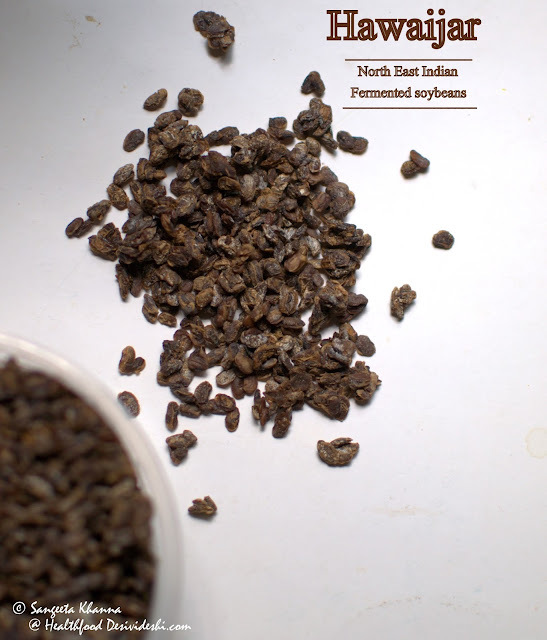 This story about native varieties of soybeans was published in Down to Earth magazine.